After two years in the wilderness, USB 3.2 (the next iteration of the firmly established USB 3 standard) now appears to finally be on the horizon. At MWC 2019 in Barcelona USB-IF, the industry body in charge of promoting and supporting the technology, confirmed that the first devices to incorporate the new standard in hardware will be released this year. The most important addition to the USB 3.x specification made by USB 3.2 is that of a new 20Gbps mode when utilising a Type-C connector. In this mode a USB 3.2 controller has access to two 10 Gbps channels rather than the single channel available in USB 3.1, but other aspects such as data encoding remain unchanged. 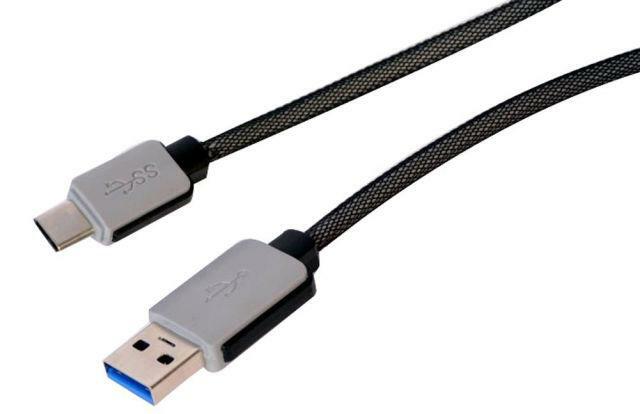 The USB 3.2 device is therefore also backwards compatible with USB 3.1/3.0 peripherals and signalling, and could optionally also support older Type-A connectors (without a 20Gbps mode). Pretty straightforward so far, but confusion could start to arise from USB-IF's choice of rather obtuse product language and branding. For you see USB 3.2 doesn't just define that new high-speed standard; it also inherits all the previous USB 3.x standards and advances the naming convention for them. This means that previous USB 3.0 and 3.1 modes will be known as USB 3.2 Gen 1 and USB 3.2 Gen 2 respectively. But that's not all, the new 20 Gbps will be known in technical documentation as USB 3.2 Gen 2x2 (i.e. two 10Gbps channels), something that will trip up no small number of interested parties. Consumer branding will be a little more straightforward; devices that are capable of the new specification will be marked as SuperSpeed USB 20Gbps. Furthermore USB 3.2 will still not define the connector type in operation, so the device could still come with either Type-C or Type-A connectors (or a mix of the two). USB 3.2 may be introduced as a feature with the upcoming Intel and AMD platform refreshes expected in the middle of the year, while in theory add-in cards that support the standard could be available at any time. Peripherals compatible with the new USB 3.2 Gen 2x2 mode are likely to arrive a little later.